NOTE : This page was attacked by a Hacker and I am still putting it back together. I have been sick several months, and continue to be sick, so pardon me if you visited this site while some of this page information has been deleted or HTML damaged. Udorn Royal Thai Air Force Base takes awhile to appear on your screen, but it is worth it ! Welcome Home Brothers, Sawatdee ! This site is dedicated to those who served at Udorn R.T.A.F.B. (APO 96237) and to the Aircrew Members who never returned. If you have an interesting story, or link to your Udorn site, or link to photo(s) from Udorn, or links to other related sites, please share the information via my Guest Book or drop me an E-mail at edavis3625@aol.com . NOTE : This page was attacked by a Hacker and I am still putting it back together. I have been sick several months so pardon me if you visited this site while some of this page information has been deleted / damaged. Welcome back Home,........... to Udorn ! Udorn R.T.A.F.B. is located in South East Asia, some 250 air miles northeast of Bangkok, (the capital city of Thailand) [ 1 ] , [ 2 ] , [ 3 ]. Udorn RTAFB is located in northeastern Thailand, on the southern outskirts of the city of Udonthani (Udon) ,..... or better known as "Udorn". Northeastern Thailand and the people who reside there are called "Isan" , (which is pronounced "EEE-Sahn" ) . American G.I. 's call it "You-Dorn" (as in 'Udorn'), while Thai's pronounce it "Oooo-Don" (for 'Udon' - as in Udonthani) ....... But either pronunciation and a fist full of Baht (money) gets you to the same place in a Taxi or Samlor. NOTE : See map of Udorn. NOTE : What is the Weather in Udorn right now. NOTE : World Time Zone Map includes time in Udorn at this moment. NOTE : See if it's Daylight or Dark in Udorn right now. Some 2,700 years ago the Ban Chiang culture flourished around Udorn, in the north east region of Thailand, where Archaeological evidence of Neolithic settlements have been discovered, covering some 40 provinces, that include personal tools, metal objects in bronze and iron, as well as decorative flint, bone and shell artifacts, as well as cave paintings. An ancient people known to the Chinese as "Tai" (Thai) are documented to have lived in the area known then as the south of China. NOTE : There are 206 dominate Tribal languages in China. Successive migrations from central Asia included Thai (Tai) groups, migrating southward into an area today known as northern Thailand. Meanwhile, the main body of Thais remained in areas today known as Southern China Provinces of ; Kwangsi, Canton and in Yunnan, China,..... where by A.D. 650 they had organized the independent kingdom of Nanchao. The Siamese Tai captured Sukhothai and soon established a powerful, independent kingdom, which would be later known as : ' Thai Prathet Thai' ( "Land of the free" ). The destruction of the southern China Kingdom of 'Nanchao' by the Mongols under Kublai Khan in 1253 began another mass migration southward by more Thai. Around 1850 A.D. the first modern dwellings at Udorn were established, as a Thai Garrison settlement named " Ban Dua Mak Kang" (Barn Duea-mark-kang). Around the year 1893 A.D. the 25th son of Siamese King Rama IV, " Komluang Prajak Silapakom" , founded the town of Udonthani (Udorn) at the "Ban Dua Mak Kang" (Barn Duea-mark-kang) Garrison. research, so I'll skip ahead in time to the Vietnam War era. During the Vietnam War our first American squadron assigned at Udorn RTAFB were primarily TDY personnel from the 5th Tactical Group, Don Muang RTAFB at the Bangkok Air Port , who were known at Udorn RTAFB as the 333th Air Base Squadron (ABS), in October 1964. The 333rd Air Base Squadron at Udorn RTAFB was redesignated the 6232nd Combat Support Group (CSG) in July 1965, then assigned to the 13th Air Force , then the only Thailand based tactical wing in Thailand was at Korat Royal Thai Air Force Base (RTAFB), the 6234th Tactical Fighter Wing. 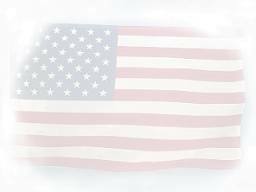 U.S.A.F. combat support personell were being secretly assigned PCS to Udorn RTAFB and other Thailand bases, where they were strictly NOT allowed to even tell family members where they were being assigned. The Udorn RTAFB 6232nd Combat Support Group (CSG) at Udorn RTAFB was redesignated the 630th Combat Support Group (CSG) in April 1966, with a reporting responsibility to the Deputy Commander of the 7th Air Force/13th Air Force (7/13AF), who was then headquarters at Udorn RTAFB. 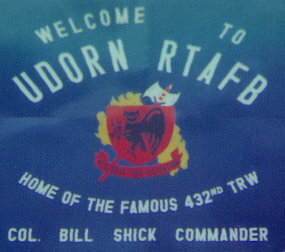 1966 : September : The 432nd Tactical Reconnaissance Wing (TRW) was organized at Udorn RTAFB. The 630th CSG was placed under this new wing and redesignated the 432nd Combat Support Group (CSG). Also assigned was the 13th Tactical Fighter Squadron (TFS) : Flying F-4's that delivered the bombs , gun , rockets , missiles , and other items. The 13th TFS was credited with two MIGs kills. After years of official denial, by mid-1967 the White House announces to America and the world that we have secret U.S. military personell and equipment positioned in Thailand. The 11th and 14th Tactical Reconnaissance Squadrons accounted for more than 80 percent of all reconnaissance activity over North Vietnam. The 555th ("Triple Nickle") Tactical Fighter Squadron arrived at Udorn in May 1968 from previous PCS assignment at Ubon RTAFB , flying F-4-D's, and was credited with 27 MIG kills, the last seven while at Udorn. By the end of 1968, Udorn RTAFB had 14 different combat flying units as well as Tactical Reconnaissance Squadrons. NOTE : My Vietnam era 'wars' resources page. NOTE : My educational site : LAOS : The Secret War. Visit Udorn's : Royal Thailand Air Force "Wing 23"
NOTE : List of Aircraft flown during Vietnam War. that are not included here. site dedicated to 462X0's ; 'Weapons / Munitions Specialists'. Air America provided essential resources for the Secret War in Laos and elsewhere. The public and covert activities of Air America and 'associates' contributed greatly to challenging and reversing the Domino effects of agressive global Communism by lessening national security threats of the Cold War, that otherwise were esculating into World War Three. Air America's roles supportive of covert and overt situations related to hostilities in Asia and elsewhere worldwide provided buffers and solutions to problems too sensative for our political leaders in Washington to openly tend to, ...problems and situations that otherwise could have resulted with gravely higher losses of lives and assured detrimental effects upon our uniformed comrads-in-arms, and subsciquently adversly our present society, freedoms and way of life in America. CAT and Air America's 'quiet', often routinely heroic expressions, in later years more openly assisted our nations military, and other contributing eliments, who forever changed the course of world history in our nations favor, ..... while doing so with secrets kept for over 30 years by those who served our nation with such profound accomplishments, yet never to be read about in our nations school History books, .... and to the extent of such secrecy that the details of their roles remain still unknown to our countrymen, even unknown to our very own military, and not even our highest elected officials of the same era who were not privileged to such completeness of sensative details. During the 1970's, details about the 'secret wars' was leaked, by a News Reporter, to elected officials in Washington. Then Air America became the 'accessable' sacrifical 'scape goat' for various UNaccessable cliant organizations / agencies. In 1937 the Japanese began bombing Chinese cities and infrastructure targets, to include the American Navy U.S.S. Panay, a gunboat the Japanese had also destroyed during a bombing raid. The hostilities continued, and via an agreement with Chinese President Chiang Kai-shek, American 'volunteers' responded as Pilots to fly old Chinese aircraft to wage a Secret Air War against the Japanese. Then in 1938 a retired U.S. Army Air Corps Captain, Claire Lee Chennault, was sent to Kunming, China as the American Air Advisir. Soon afterwards he was to hire American technicians to train Chinese Ground Crew Airmen and to train better Chinese Pilots. During 1939 Washington did NOT want to appear they were supporting China in the war with Japan, so American military supplies could not be shipped directly to China. Instead, limited amounts of much needed military supplies continued to reach China from the Brittish in Burma and from the French in Viet-Nam, as well as from American military supplies sent to the French. But better Pilots and Planes were urgently needed for China. In 1940 Chennault was instrumental in securing 100 American made Curtus P-40C Fighter aircraft, that had been earmarked for the Brittish, hence laundering their origin as non-American aid. 100 More Pilots and 200 more Ground Crewmen were needed. The operation had to keep a safe 'identification distance' from our military, as to not create a response from the international community, so an organization named "Intercontinent" fronted the recruitment end of things for "Central Aircraft Manufacturing Company" (CAMCO) who became the actual employer contracting stateside recruited Pilots and Ground Crews for jobs in China, where Chennault headed the "American Volunteer Group" (AVG) Squadrons and men who would become known as the "Flying Tiger's"
Although American Pilots were recruited (some from the military, who retired to get the high paying jobs) they arrived as "volunteers" in China and NOT in any capisity attached to the U.S. military in any 'official' American support in China's war with Japan. In 1941 U.S. President Roosevelt approved China to immeadiatly recieve shipments of five hundred American made aircraft, to include Bombers capable of reaching Japan with bombing missions launched from China, and many were in route. Also the Brittish were shipping two squadrons of Fighter aircraft to Chennault's "American Volunteer Group" (AVG). 7 December 1941 many of those aircraft were in route or arrived, after being refueled in Hawaii...... when the Japanese ships and aircraft attacked U.S. military bases Pearl Harbour in Hawaii, and those bases and towns of the Asian based French, Dutch East Indies and Brittish who had been providing military aid to the Chinese, and those who survived capture were made prisoners. The term "Flying Tiger's" resulted from a Time Magazine article written in late December 1941, describing Chennault's agressive combat AVG Pilots behaving like "Flying Tigers" during aireal combat with the Japanese, while collecting $500 (the equivalent of around $10,000 in today's dollars) for every Jap bird shot down. In March 1942 the Japanese had occupied Burma, sealing off the essential resupply route of the Burma Road, which provided the cargo link between Brittish India and Burma ocean ports and connecting road into western China via Tibet. So a way was urgently needed to bring munitions and supplies into China. Washington decided to terminate the AVG on July 4th 1942, and form a new organization called "The China Air Task Force" under the 10th U.S. Air Force in India. The AVG's P40's would have thier Chinese markings removed and the U.S. Army Air Corps installed. Some 'Flying Tigers' went with Chennault into the Army Air Corps, the rest went home or stayed in Asia to become transport Pilots. From the Roster of the AVG, there were 21 AVG Pilots KIA or MIA during the AVG's heroic combat career, which the U.S. Air Force recognizes being from 7 Dec 1941 to 14 July 1942. On 22 April 1944 the Second Air Commando Group was activated. In 1945 Gen. Chennault commanded the 14th Air Force. In 1946 CAT was originally formed by Whiting Willauer and Lt. Gen. Claire L. Chennault operated an air cargo company in China that expanded into Laos, Taiwan and elsewhere in Asia, under the name of Civil Air Transport" (CAT). In 1949 CAT's cargo business income was supplemented with covert missions for the CIA that dated back to Oct. 10, 1949, (National Day in China). In 1950, after China fell to the Communists in 1949, C.A.T. operated briefly following the war then had to leave in January 1950, suffering great capital losses. Chiang Kai Sek fled to Taiwan (Formosa), where CAT relocated, but CAT's commercial and CIA business had dried up and CAT faced imminent bankruptcy. In March 1950, the CIA (formerly OSS) secretly purchased " Civil Air Transport" (CAT). In July 1950, the CIA assigned 3 CAT planes to ferry native spies between Japan and Korea to establish agent networks placed inside North Korea intended initially to aid in the rescue of downed Aircrews, but shortly afterwards was transformed into guerrilla operations, and later to stimulate cooperation by North Korean civilians, code named "White Tigers". 1951 - 1953 : During the Korean War C.A.T. made hazardous overflights of mainland China, airdropping covert Agents and supplies. CAT aircraft occationally used the facilities at Udorn RTAFB. CAT provided many services to our nation and allied nations, by operating as an actual commercial airline and air cargo carrier following World War Two and the Korean War, as well as air delivery of covert mission troops. In 1953 CAT was active in the French war against Communist insurgents in Indochina, where CAT planes and Pilots flew airlifts in US Air Force-supplied C-119s and C-47's bearing the tricolored roundels of the French Air Force, flying troops, tanks, food, medicines, heavy equipment and other cargo to hard-pressed French forces in Vietnam and Laos. In 1954, French paratroopers occupied Dien Bien Phu in northwestern Vietnam, 10 miles from the Laos border, where the French Air Transport Command in Indochina lacked sufficient aircrews to meet the Army's demands so CAT provided 24 pilots, and between 13 March and the fall of Dien Bien Phu on 7 May, CAT pilots flew 682 airdrop missions to the French troops. Between mid-May and mid-August CAT dropped supplies to isolated French outposts and throughout Laos and Vietnam. Following the signing of the Geneva Agreement (21 July 1954) CAT flew 19,808 men, women, and children out of North Vietnam between 22 August and 4 October 1954. In 1955 a rice failure in Laos threatened famine in several provinces, where CAT flew from Udorn RAFB, Thailand, air dropping 1,000 tons of emergency food and essential supplies of rice and salt into rural Laos villages. From 1955 to 1959 CAT maintained a very active cargo carrier role in Laos during that era of time. In 1959 CAT was renamed "Air America." In the mid-1960's, although CAT changed its name to Air America, CAT still had aircraft flying with the old CAT identification. During the mid-1960's CAT and Air America identity aircraft also served as a conduit for Udorn based covert US intelligence operations supporting the 'Secret War' operations in Laos, and other operations that included the USAF Air Commando's, who were deployed as close as the Plain of Jars and as far away as 'around the globe' responding to threats of Communism. CRS = "Can't Remember Sh_t"
How are you ? = Khun Sah Bye Dee Loo ? Is this your Baby ? = Deck Cong Khun ? NOTE : Photos of Udorn RTAFB and vicinity. NOTE : For more related links, see the bottom of this page.